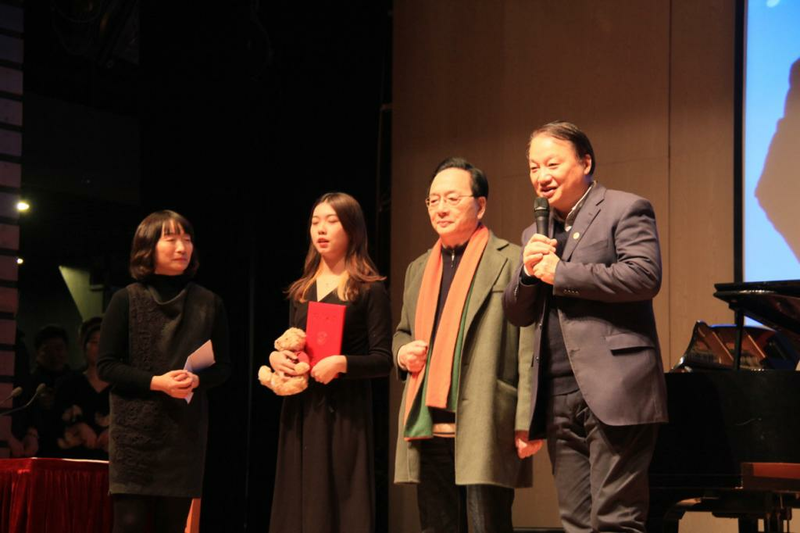 On March, 13th, CHEN Gang, a professor and distinguished composer from Shanghai Conservatory of Music, presented a special themed art lecture at the Weekly Concert of Tongji University at the 129 Auditorium, Tongji University. CHEN was presented with a certificate of Honorary Professor with Tongji University at the beginning of the lecture. It was released that Professor CHEN Gang along with the Rose Trio composed of three female players SHEN Yili -- a Kunqu Opera artist and a national first-class actress, SHI Wen -- a young pianist and associate professor from Shanghai Conservatory of Music, and QI Lin -- a young violinist and teacher with College of Art & Media, Tongji University, were to “settle down” at Tongji, to help promote the campus culture as well as Chinese cultural heritage. 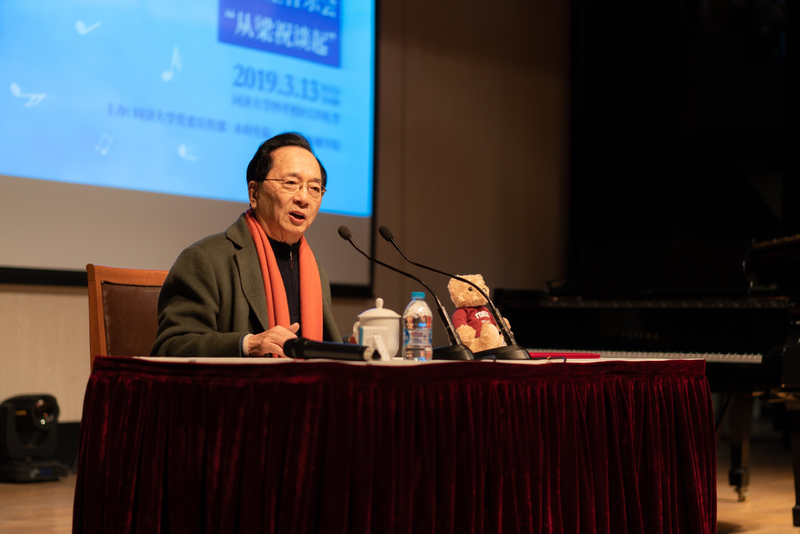 CHEN began his lecture with his well-known performance of “the Butterfly Lovers”, then introduced his experience and understanding of music in the past decades. For CHEN, music is not only sensual pleasure, but an artistic means that gives rise to tradition, culture and emotions. As in the case of the Butterfly Lovers, its composition was based on both Yue Opera and the basic musical notes of “mi-so-la-do” to display the haunting feelings of the love tragedy, which incorporated the power of Western symphony with the features of Shanghai local culture as well as Chinese culture. The Butterfly Lovers has simply become a name card of Chinese music for its unique charm. 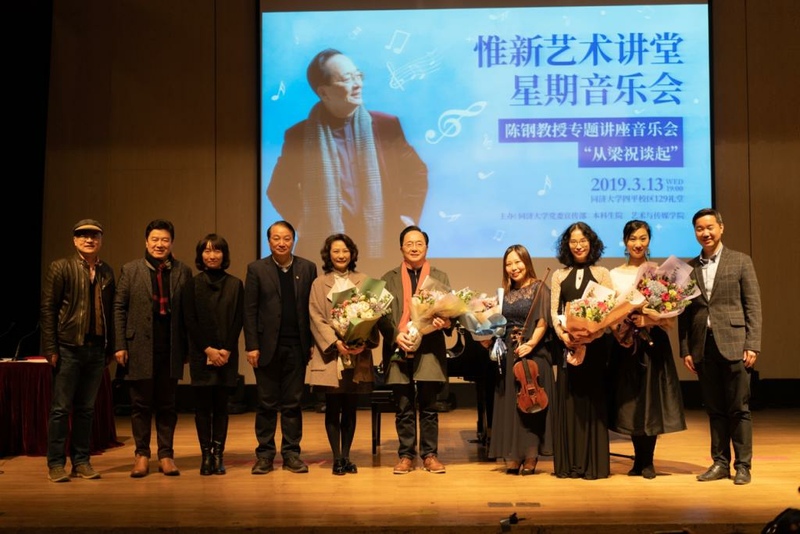 In the end, CHEN improvised a piece of the Butterfly Lovers for students who were kept spell-bound by his lecture and his beautiful presentation of the music.